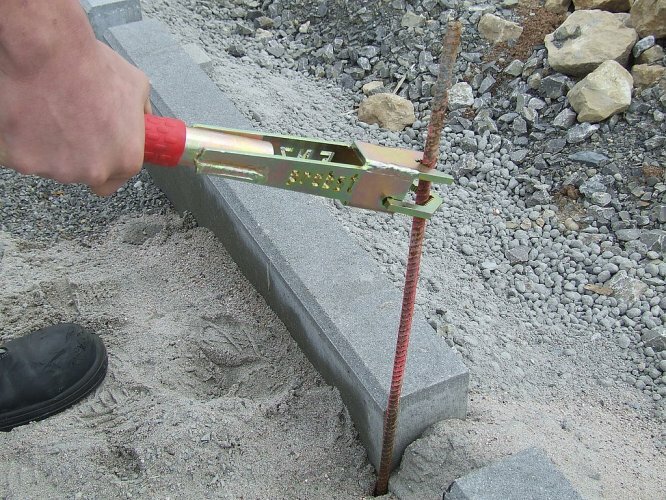 The Probst ENZ Pin Extractor is a very efficient tool to extract string line pins used on construction sites. Reduces the risk of injury by pulling pins using pilers, hammers or by hand. When pulling the pin with the ENZ the unique V shaped clamping system locks to the pin, a pulling and twisting motion loosens the pin with little physical effort. The use of the ENZ reduced pins getting bent, thus saving cost.